Peak Performance Swim Camp employs a one-of-a-kind elite training approach that conditions swimmers both inside and out. We believe swimmers are only as good as the sum of their parts, so maximizing their mental, technical, and physical conditioning is paramount. 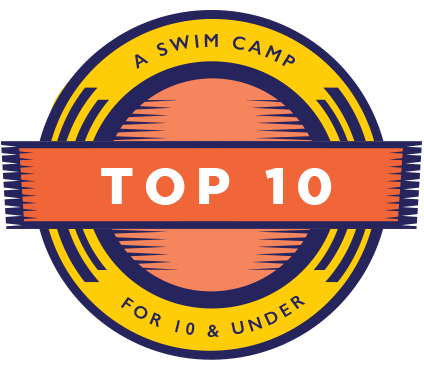 Eligibility: All camps are open to age group and senior-level swimmers, ages 8-18, who currently compete at a local, regional, state, or national level. To maximize the benefits of the camp, swimmers are assigned to lanes based on their current skill and performance level versus their age. Our 5-day IM Camp covers the entire individual medley from the front start, the four strokes, the three IM turns, plus the ideal racing strategy. It’s the complete package over five days! Training and racing in the IM is a wise choice as it develops all four strokes and makes swimmers more versatile and competitive. Most people think of Michael Phelps as the King of Butterfly, but he’s also the only swimmer in history to win the 200 IM in four consecutive Olympics. PEAK coaches are masters at teaching and training, and our 7-to-1 swimmer-to-coach ratio is the lowest in the industry! Learn from the PEAK pros and get the winning edge! The term “training camp” has a long-standing tradition in competitive swimming, where swimmers undergo a focused week of intense physical activity to get a jump start on future competitions or the start of a new season. At PEAK, we proudly put our own spin on it and go above and beyond. We start by creating an “eagle mindset” where swimmers hunger to do better and perform better. Next we add four hours a day of intensive training, purposeful teaching, a daily Winning Spirit pep talk, dynamic dry-land training, and soothing yoga. The combined PEAK experience toughens swimmers mentally, boosts fitness and confidence, and improves essential swimming skills. It would be near impossible for us to offer a camp format such as this with a large number of swimmers, so we restrict registration to ensure a 7-to-1 swimmer-to-coach ratio (the lowest in the industry). Learn from the PEAK pros and get the winning edge! Most every swimmer has a best stroke and lives for that moment in practice when the coach gives them the opportunity to swim it. We know what a thrill it can be because we were swimmers once ourselves. Our Best Stroke Camp provides swimmers with a unique opportunity to spend up to 50% of their daily swim time enhancing the stroke they love the most – it’s indeed heaven on earth! Swimmers may take advantage of this opportunity daily or the days of their choosing. Providing more time to train their best stroke accelerates performance. It would be near impossible for us to offer a camp format such as this with a large number of swimmers, so we restrict registration to ensure a 7-to-1 swimmer-to-coach ratio (the lowest in the industry). In addition to swimming, we include a daily Winning Spirit pep talk, dynamic dry-land training, and soothing yoga. Learn from the PEAK pros and get the winning edge! They say that variety is the spice of life. At PEAK, we believe that variety should extend to the teaching and training of swimmers. That’s why we created the Custom Camp, where swimmers have the option (at specific times throughout the day) to choose what they want to learn and train. For example, in addition to the standard camp content offered on the first day, swimmers have the option to work backstroke technique or breaststroke technique, a sprint set or a distance freestyle set, and relay starts or backstroke starts. And the custom options vary from day-to-day! The benefit of customization is that it targets specific needs allowing swimmers to improve at a much faster rate. It would be near impossible for us to offer a camp format such as this with a large number of swimmers, so we restrict registration to ensure a 7-to-1 swimmer-to-coach ratio (the lowest in the industry). In addition to swimming, we include a daily Winning Spirit pep talk, dynamic dry-land training, and soothing yoga. Learn from the PEAK pros and get the winning edge! Attention Parents: This is not a learn-to-swim program, but specially designed for aspiring young competitive swimmers. Throughout the camp, swimmers perform multiple lengths of each stroke, including the Butterfly.